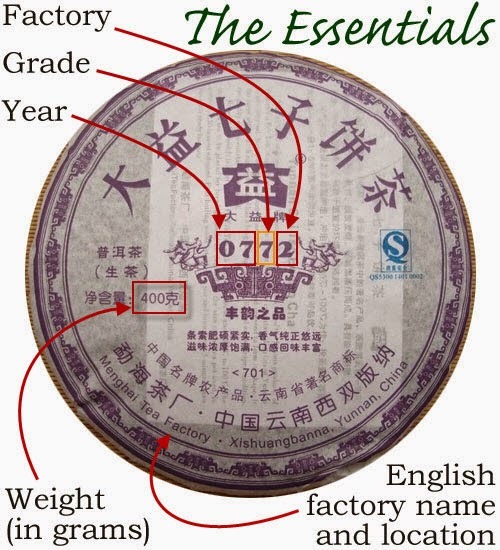 Variations in Romanization, changes in the number used in the recipe number for the tea factory designation, and rating systems peculiar to a particular factory all challenge those trying to fathom the complexities of pu-erh cake labels. I will attempt to shed some light plus address some variations I’ve found online. Usually this number has 4 digits where the first 2 are the year, the third is the grade, and the fourth is the tea factory. Not all pu-erh cakes have this recipe code on them – it’s a pretty voluntary system at this time. Plus the grade is not hard and fast – the standards can vary from factory to factory and around the Yunnan province. 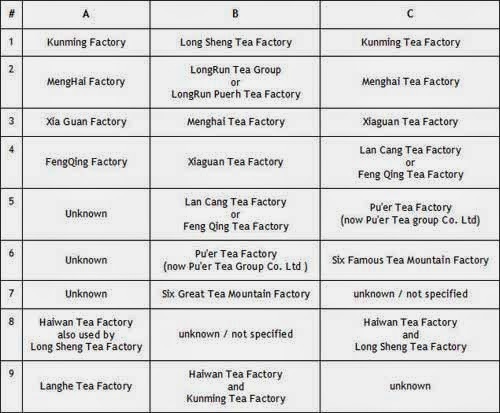 There is some disagreement, also about the numbers used for different tea factories, with some sources showing those in column A, others showing those in column B, and still others using those in column C (which is the list we showed on our site). One thing to note is that even if two cakes have the same number, they may not taste the same. 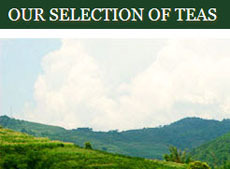 There are many tea factories in China, with a crowd of them in Yunnan Province. Some are small and obscure while others are getting fairly well-known, such as the Menghai Tea Factory. This list, while not exhaustive, is a good start. You will see the characters on the cake and brick paper wrapper, the storage boxes, or tuocha bags. Again, this is the 3rd digit in that recipe number on the cake label (if there is one). Several factors determine leaf grade: the tea tree type and quality, the time of year when harvested, and the tenderness of the maocha. The tea trees in Yunnan from which the leaves are harvested for pu-erh are generally the large-leaf varieyt but has many subcategories. The age of the tree is a key distinguisher where the older trees have deeper roots so their absorption of nutrients from the soil is different, coming from further down below the surface. Trees that are 60+ years old are called “big tea trees,” the 30-60 years old ones are called “arbor tea trees, and the 10-30 years old ones are “tableland tea trees.” The older, the better. The rare 100+ years old tea trees (called “ancient” or “old”) are the absolute best. Harvest quality goes best to worst in this order: Spring, Autumn, Summer. The excessive heat could be the issue. 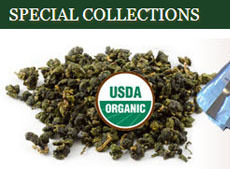 The maocha grades have ten levels: super (most tender with tiny buds and golden tips) down thru the 10th grade (composed of big leaves and stalks). Oddly, the higher grade can tend to be bitter, so you will need to go by recommendations to find what suits your preferences. 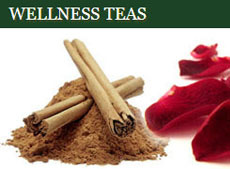 Various tea factories will have additional designations on their labels. For example, the Xiaguan Tea Factory with add a “T” at the front to mean a tight compression (and thus a slower aging since there will be less air in the cake). Their raw (sheng) bings are usually numbered YY03, YY13, YY33, YY53, and YY73 (some have the “T” such as “T8633). The cooked (shu) cakes are numbered YY63 since only grade 6 maocha is used. There are also special labels such as Dayi brand, Măbéi (Horseback), and Nan Zhao (Southern Edict). You might see an “FT” that indicates the cakes were a special order by Fei Tai in Taiwan (more collectable as a limited, higher quality production). 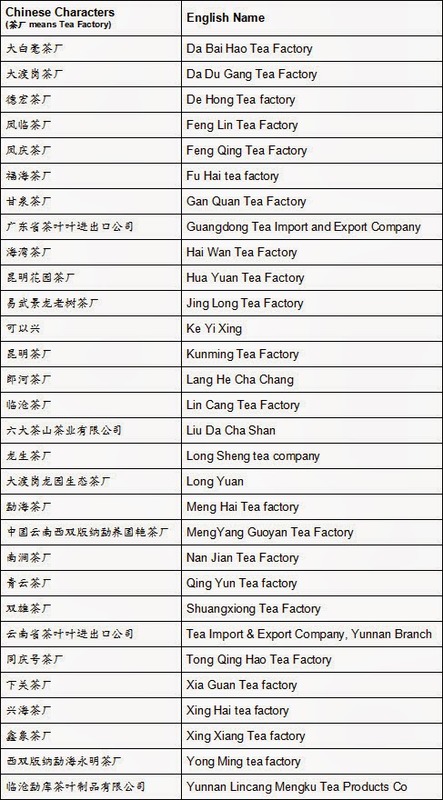 Also, some times even though the tea may be processed at a particular factory, the label will bear the name of the tea master such as the Hai Lang Hao brand. Let’s face it – this info is barely scratching the surface. The cake label is rather complex, and your best bet is to ask someone you trust and who can interpret the symbols. Happy hunting! 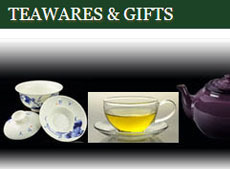 This entry was posted in For Pu-erh Devotees and tagged chinese tea, JAS-eTea, label, Pu-erh Teas. Bookmark the permalink.